If you have any futher questions about bettas or other carnival fish, post them and I’ll be sure to answer. I like this series of articles on Carnival Fish and I am looking forward to part 3. My grandson won a “goldfish” at his school carnival and now I am the keeper. However, this fish has grown in 4 months to onlt about 1 1/2 inches and shows no signs of being gold or any other color. The main surprise, however, is that last week I looked in the fish bowl and there were two very tiny new fish. I can’t figure this out: Help. 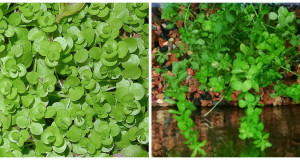 (I change the water completely once a week and add some new water during the week for aeration.) What kind of fish is this; what should I be doing for her; how did she reproduce??? Hi, Monica. May be that he got a guppy or some other livebearer. If you can send a pic that would be helpful. Send to livefish@thatpetplace.com, and maybe we can get a positive ID and help you with care. Livebearers can be easy to take care of too, we just have to figure out exactly what he got.